What would it be like if in a short time you would learn how to become the successful stylist you were meant to be? What if you had all the information at your fingertips… that you need to do just that? How do I learn the secrets from the masters? What do I talk about to charm my clients? How do I get new clients without spending a fortune on advertising? What kind of business decisions will help me earn money? How do I go beyond customer service? I guarantee after reading this book, you will reach a totally new level in your career! 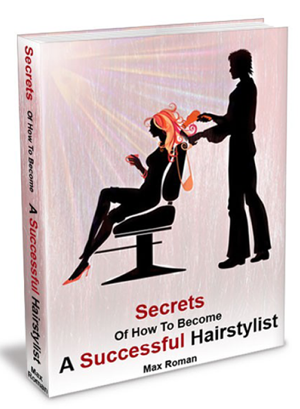 "Secrets of How to Become a Successful Hairstylist"
If you are a hairstylist aspiring to be the next Vidal Sassoon, John Paul Dejoria, Bruno Mascola, or Takashi Kitamura, this book will help guide you on a fast track to success.